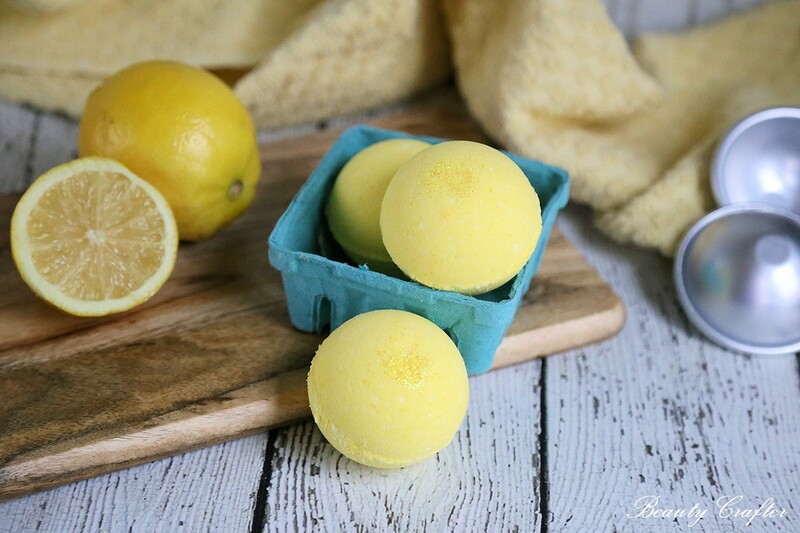 This refreshing lemon bath bombs recipe can bring the lemonade stand right to your bath! The fresh scent of lemon is not only invigorating, but evokes thoughts of cleanliness. 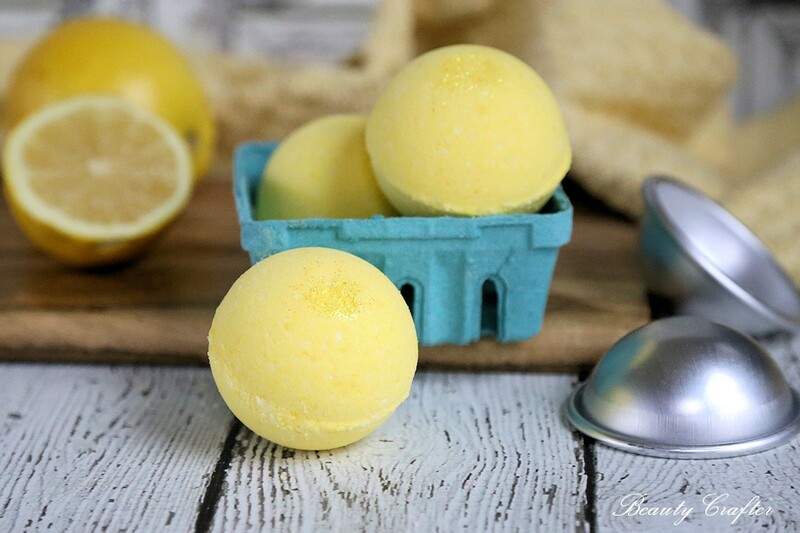 These lemon bath bombs bring that plus skin benefits. Lemon has many many health benefits, especially for the skin. 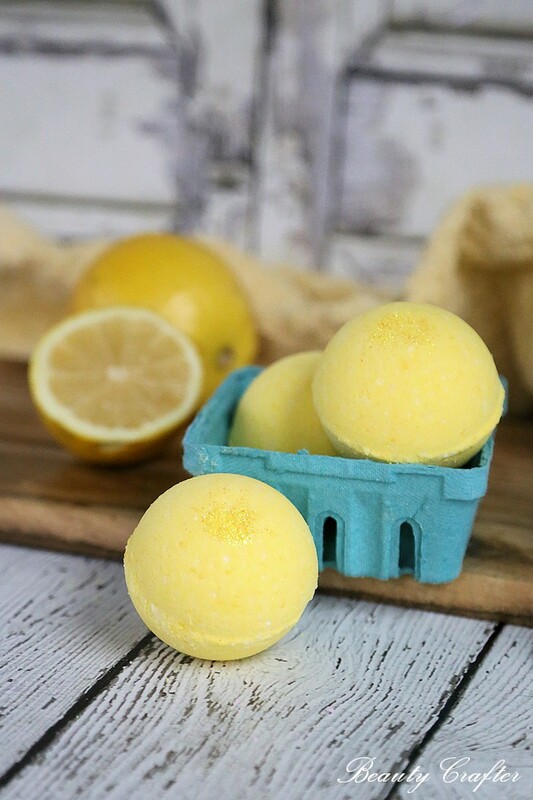 The lemon essential oil used to make these bath bombs is wonderful for treating acne and reducing both the size of pores and excess oil on the skin. The essential oil is also a great wrinkle fighter… and I know I want that! 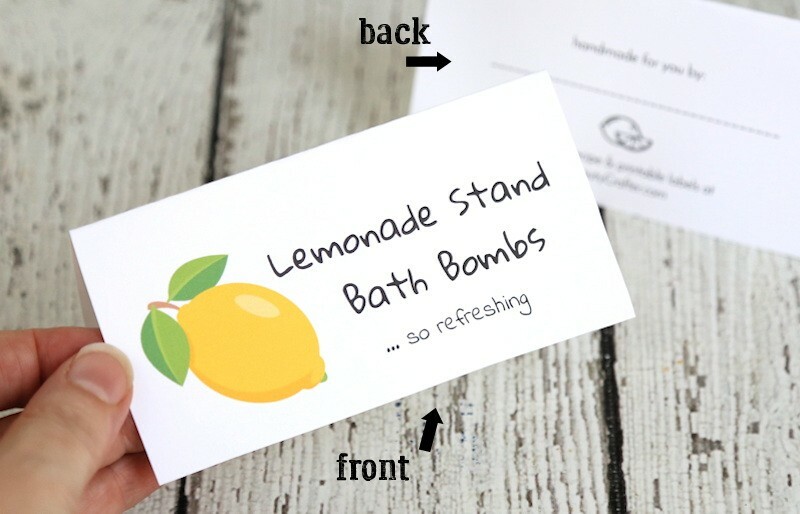 To make your lemon bath bombs more easily giftable I designed these free printable Lemonade Stand Bath Bomb labels/tags for you. 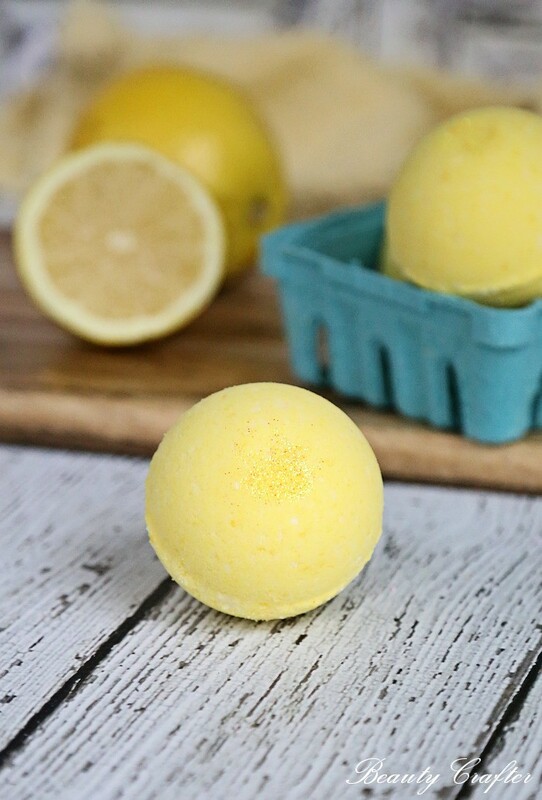 Here is the recipe to make your own lemon bath bombs. This basic DIY bath bomb recipe can be easily swapped for another scent, just swap essential oil and gel colorant. Whisk together the dry ingredients. Add the fractionated coconut oil, gel food coloring and essential oil. Whisk well to evenly distribute the colorant. Add more coloring if needed. Test the moisture of the mixture by grabbing a handful and squeezing. If a clump is formed which holds together somewhat it should be moist enough to mold. If you need to add a little water, then add more if needed. You will not need much. 1 tablespoon at most and how much gel food coloring you added will effect the amount needed. Scoop up some bath bomb mixture with each side of mold and gently press down then put more mixture on top overfilled and press the sides together firmly over mixing bowl. Give a slight twist and carefully remove the mold. Set each bath bomb aside to dry.